The dreamy new range from the Greece-based designer is filled with impeccable detailing, like regal high collars, edgy cut-outs, floaty sleeves, and billowing chiffon skirts. 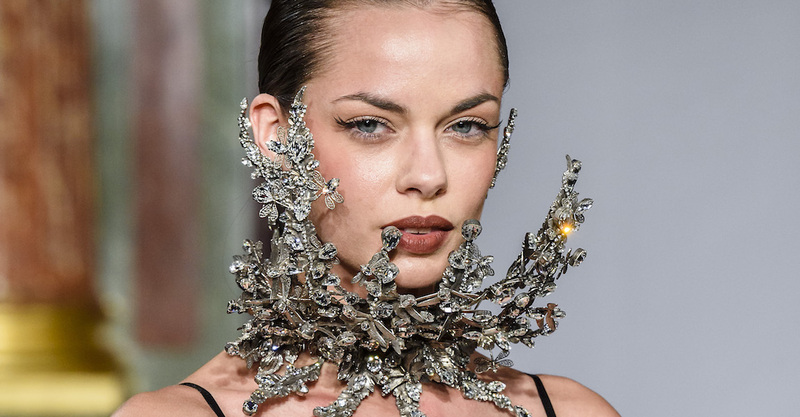 High-fashion accessory pieces are all about the drama and showmanship – and the latest over-the-top jewelry designs from Baroqco are no exception. The Australian brand creates handcrafted pieces using the finest eco-friendly Italian leather. See the latest from NYFW. Richard Magazine caught up with Aranyani brand founder Haresh Mirpuri this NYFW, and he shared the beautiful story behind the label's latest accessories. If you have spent any portion of your summer taking in big sports games or enjoying live music concerts at fan-packed stadiums, you may have had to participate in something called a "clear bag policy." You may know Steve Aoki best as an internationally renowned producer and DJ. But now, the electronic dance music star is the celebrity face of Diesel's first-ever transparency watch campaign. Have you ever visited a fortune teller? Did she, by chance, see any Gucci jewelry in your future? Because that prediction would be spot-on, considering this new campaign.